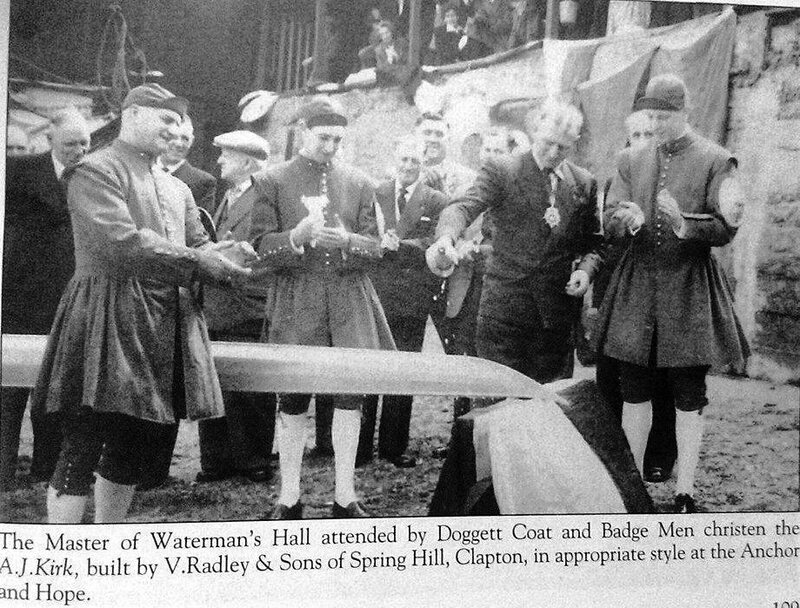 The picture shows the handover ceremony of one of the 6 Doggetts scullers which was in 1956 I believe. One of the six later was purchased by Hexam rowing club and renamed the J Hopper, who was a famous professional sculler in the early 20 th century in NE England. More recently Roger Bean completely restored the J Hopper and it now resides in the Kidderminster area where Roger moved to recently. 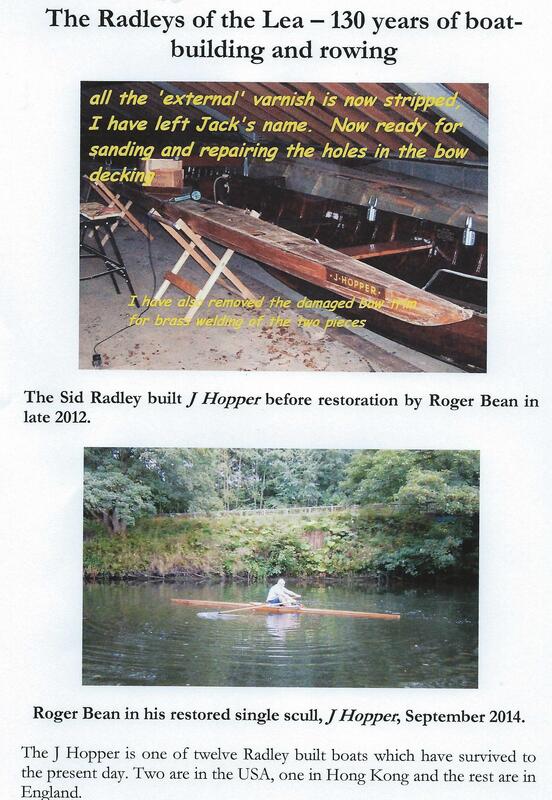 He is mending a leak and sculls the J Hopper on the Severn at nearby Bewdley rowing club. At the time there was a two page article in a local Hackney paper about Sid Radley and the Doggetts contract. The article says each sculler cost £100. Sids daughter June Cann nee Radley sent me the article and said at the time there a no of errors in it. So not sure about whether £100 is correct. Thanks to Roger bean, Chris Dodd and June for the information in this post.